Managing a Security Guard force on patrol is a difficult task given the wide variety of sites, variety of facility types, 24/7 coverage, numerous security guards, etc. Following up on every patrol is costly. Most often patrols are just assumed to be correct. Are the patrols’ activities based upon standard operating procedures? How can you verify they are performed correctly? How do you know that each site was visited? How do you know when each site was visited? How do you know the amount of time on site? Does this meet the customer requirements? Do you get alerted in real time? Can management and the customer view this data in an efficient and coherent manner? vMonitor is a cloud based application which links all facets of your organizations. Now you can easily monitor, create reports and get alerts from one browser based application. Your authorized managers will now be able to create interactive reports, anytime, anywhere. Records when all Security Guards arrive and leave each company site. Supports both facility based and mobile patrols. Verifies by location, the amount of time spent on site. Alerts in ‘real time’ if a Security Guard fails to report as scheduled. Permits Security Guards to consistently report critical safety inspection/inventories. 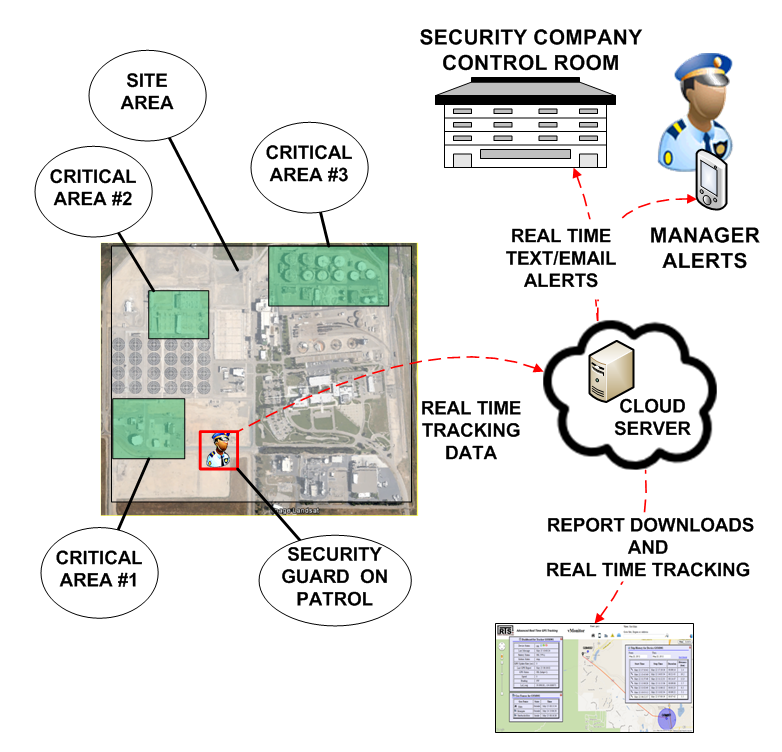 Creates the ability to monitor Security Guards working at infrequently scheduled events. Reports on all Security Guards regardless of the provider. Reports are easily accessible from web based application from any computer. Reports on-site Security Guard hours that can be directly compared to invoice hours.